OTTAWA - Sheldon Kennedy says being the recipient of one of the country's top honours can serve as a beacon to lead countless other children out of the darkness of child abuse. The 45-year-old former NHLer, one of Canada's most vocal advocates on the issue of child abuse, is one of 95 admissions and promotions to the Order of Canada announced Friday. "For me, I'm not doing this work to win awards for Sheldon Kennedy. I'm doing this work because I understand the damage that this crime has on our kids," he said. "And it's killing our kids." The list of those being honoured include Richard Pound, the Montreal lawyer who has served twice as a vice-president of the International Olympic Committee and is also the former president of the World Anti-Doping Agency. Pound was elevated to the highest level of the order, a companion. "I've never thought it is right that you should get cheated out of a result because somebody is deliberately breaking the rules and taking doping substances," said Pound. "It's not right, and it destroys a lot of the value of sports for everybody who plays fair and gets beaten for having done what everyone promised to do, which is to play fair." Among those appointed officers, the second highest rank, were Mark Carney, the former Bank of Canada governor who took the same post at the Bank of England in 2013, and Peter Milliken, the longest serving Speaker of the House of Commons from 2001 to 2011. The husband and wife musician team of Chantal Kreviazuk and Raine Maida, were among 79 new additions to the members category. Kreviazuk and Maida have been involved in various humanitarian causes throughout their careers, taking up issues including climate change, mental health and international child poverty. — Tim Cook, the military historian and award-winning author who formerly served as the director of research at the Canadian War Museum. — Brenda Clark, the illustrator behind the popular children's book series Franklin the Turtle. — Bill Graham, the former Liberal minister of foreign affairs and national defence who also served as interim leader of the Liberal Party in 2006. — Lawyer Michael Meighen, the grandson of former Canadian prime minister Arthur Meighen, who was appointed to the Senate in 1990 by his longtime friend and former prime minister Brian Mulroney and retired from the upper chamber in 2012. — Author and journalist Charles Foran and science reporter Peter Calamai, who has worked for years to foster literacy. Kennedy, who has opened an advocacy centre in Calgary to help abused children, said he still can't believe he has joined such a vaunted club as the Order of Canada. But he said he hopes it inspires other victims to come forward and seek help. "For these issues to represented and understood and to be recognized at this level, to me, is absolutely huge," said Kennedy, a 10-year-NHL veteran. 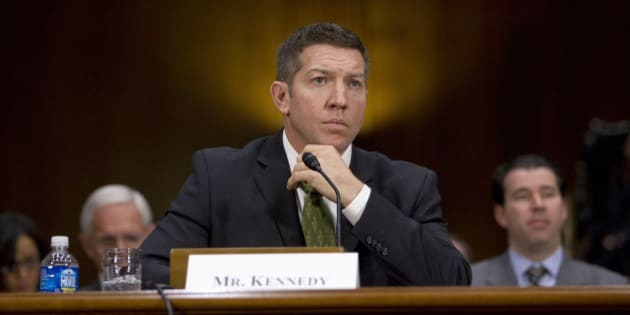 Kennedy went on to become a leading voice for sexual abuse victims following his own experience being abused by his coach, Graham James, for five years during his time as a junior hockey player. "My message is really about hope, and that you're not alone. Our country is a lot more understanding of these issues today than we were even 10 years ago, and to me that should give people confidence to come forward," he said. In the past year, Kennedy said his centre has done 2,000 investigations into abuse allegations from children seeking help. One-third of those under age 12 were showing signs of suicidal ideation, sexualized behaviour, addiction issues, violence, mental health issues. "And when they get up over 15, over half are presenting all of the above. To me, these issues, we need to understand the damage this crime has." The Order of Canada was established in 1967, the country's centennial year, to recognize "outstanding achievement, dedication to community and service to the nation." More than 6,000 Canadians from all walks of life have been invested with the Order since then. The new recipients will be given their insignia in a ceremony at a later date.